"A brutal and wasteful practice"
PAOV — Bill S-238, which could ban shark fin trading in Canada, has just passed its final Senate reading. The Bill now needs to be passed in the House of Commons — which makes your support more important than ever. 73 million sharks are gruesomely finned every year, and Canadians are among the largest importers of shark fins in the world. Add your name today to tell the House that it's time to end the trade of shark fins in Canada. Sign now with a click Sharks have been swimming in our oceans for 420 million years - 200 million years before dinosaurs walked the earth. Today many species are in trouble. As apex predators, sharks play an important role in the ecosystem by maintaining the species below them in the food chain and serving as an indicator for ocean health. The demand for shark fins for delicacies such as shark fin soup means sharks are one of the most exploited species on the planet. Fins from up to 73 million sharks end up in the global fin trade every year. Shark finning is a brutal and wasteful practice. When a shark’s fins are cut off it is often still alive, then the shark is tossed back into the ocean where, without its fin, it will drown, bleed to death, or be eaten alive by other fish. Shark finning is illegal in Canadian waters; however, Canada is the largest importer of shark fins outside of Asia. Demand is growing in Canada, according to Statistics Canada more than 170,000 kilograms of shark fins were imported in 2017. This is more than a 60 per cent increase from the volume imported five years ago in 2012. More alarming, research shows the fins of several endangered and threatened sharks — including whale sharks, great hammerhead sharks and blue sharks — are being sold in our country. Of the fin samples collected, an astounding 76 per cent were from threatened species. The good news, many Canadians want to see our government ban the trade of shark fins! 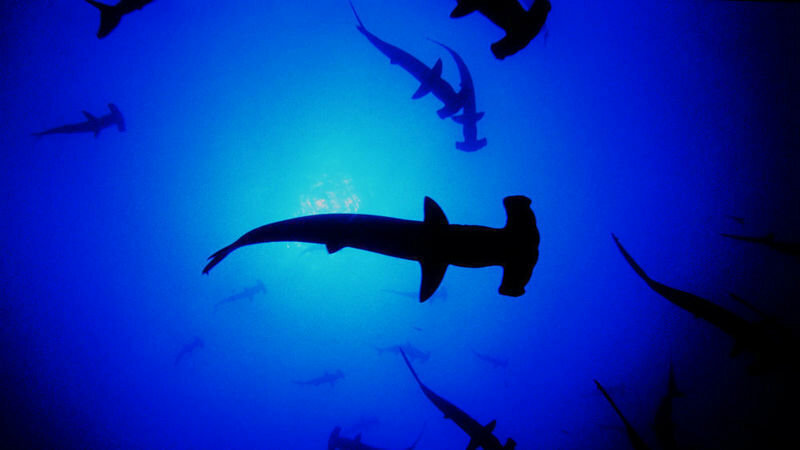 Canadian filmmaker Rob Stewart exposed the fin trade to a global audience in his 2006 movie. Sharkwater. In theatres October 19, 2018, Sharkwater Extinction, the late filmmaker's final film, continues to further expose the illegal shark fin industry and pirate fishing trade. Kendra, an advocate from Delta B.C, turned her lifelong love of sharks into a petition calling on her local government to ban the sale and trade of shark fins. This petition has received over 64,000 signatures, illustrating how much Canadians care about this issue. Her local Mayor’s response was clear, they need senior levels of government to take action on a national level. Bill S-238 will stop the import and export of shark fin. This Bill seeks to end the import of shark fins into Canada. In the spring of 2018 the bill was unanimously passed by the Senate Fisheries committee, where it was strengthened to ban shark fin exports. Now the House of Commons needs to pass Bill S-238 so that it can become a law. Canada needs to be a world leader in protecting sharks and a nationwide ban on the import and export of shark fins is the best way to ensure that Canada is not supporting shark finning. Add your name now and tell Prime Minister Justin Trudeau and Minister of Fisheries, Oceans and the Canadian Coast Guard Jonathan Wilkinson to support the passage of Bill S-238 to end the cruel and inhumane practice of shark finning.